Note: This is an old description. Some grammars has been fixed and some words have been change. 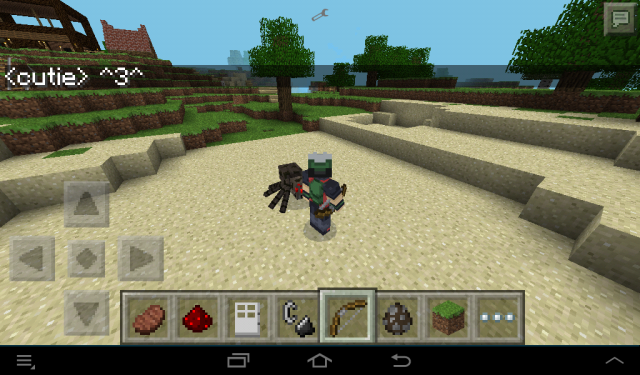 This mod might worked still on 0.14x and 0.15x. PLEASE LIKE THIS MOD BEFORE READING, THAT IS THE MOST SUPPORTIVE THINGS YOU CAN DO FOR ME ON THIS SITE! Hello my name Is Gamester I am a 14 year old intermediate programmer and web enthuseist I know HTML, CSS, JAVSCRIPT, PHP and some C#. 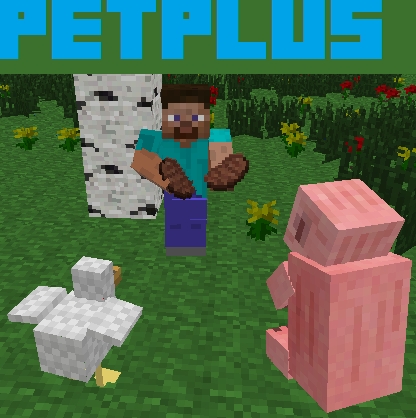 I am also the creator of the creator of thebrutality mod and another sneaking mod, I have been working on a mod called PetPlus which lets you have pets in MCPE, unlike otherpet mods this one allows pets to follow you(one at a time due to CPU issues) stay and even go to your home! I have been working on this mod for about a month now, because I didn’t have a computer to work on it, but now I do! 1. You can have 7 pets at a time. 2. You can set your home and havepets go there. 3. Complicated math equation that allows pets to follow you (1 at a time). To feed the pet that is following you. 2. Custom texture pack. So you dont have to unzip the texture packto give your pet a texture. 3. Better emotional stable pets natures. Currently pets are bipolar as far as personalities go but soon theyre personalty will be stable. 2. Follow “in game” instructions. Sets the place your pets can call“Home” also neededfor go, home and leavesubcommands. PET SUB-COMMANDS: So basically a pet sub-command is used when youwant to specify something to happen to a specific petfor example, If you have a pet named piggly and you want hime to sit, just type in, /piggly sit and he/she will sit . Makes your pets stay in its current position untillyou command it to do something else. Lets you ride your pet. Makes your pet teleport to you and follow you if no otherpet is following you. 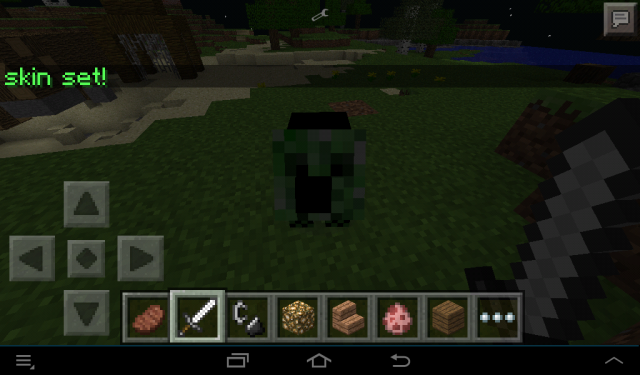 Lets you give your pet a custom skin from the mob folder in the current texture pack, after the skin subcommand type in ONLY THE NAME, of the.png skin image file you wish to give your pet in the mob folder of your current texture pack, do not type in the .png part of the file name, just the pure name. 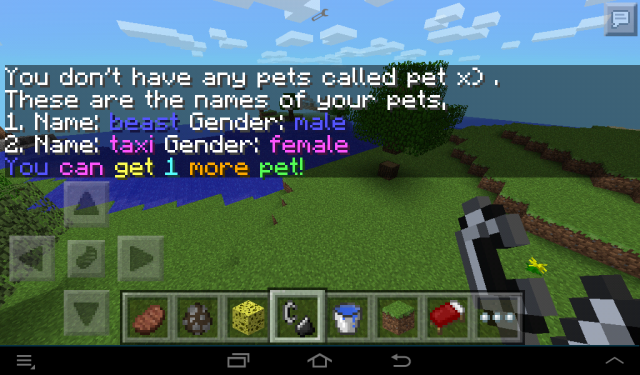 Example: if the skin you wanted your pet to have iscalled pig.png type in /piggly skin pig. The /follow command alows your pet to follow you wherever you go, only 1 pet at a time can follow you due to lag issues. The normal commands just allows you pet to do whatever they would naturally do or want, its not special at all. If you are going to make videos, no permissions are needed but please show the enitre mod in all its glory, and give a link to the video on the comments section, I suggest you set your home indoors as pets could and will escape. You may use the follow code in my mod but give me credit I pour my heart and soul into this mod, so please respect it. I would like to thank Weizz, Hexdro and ByteAndAHalf for not knowingly inspiring me to make this mod.